As many have learned in the news, our brothers and sisters in Guatemala are suffering after a Volcanic eruption devastated the land. One of our own ministers, Rev. Pablo Pedro Moratoya, whose hometown is just kilometers away from ground zero, has shared with us the terrible suffering the people are going through. Rev. 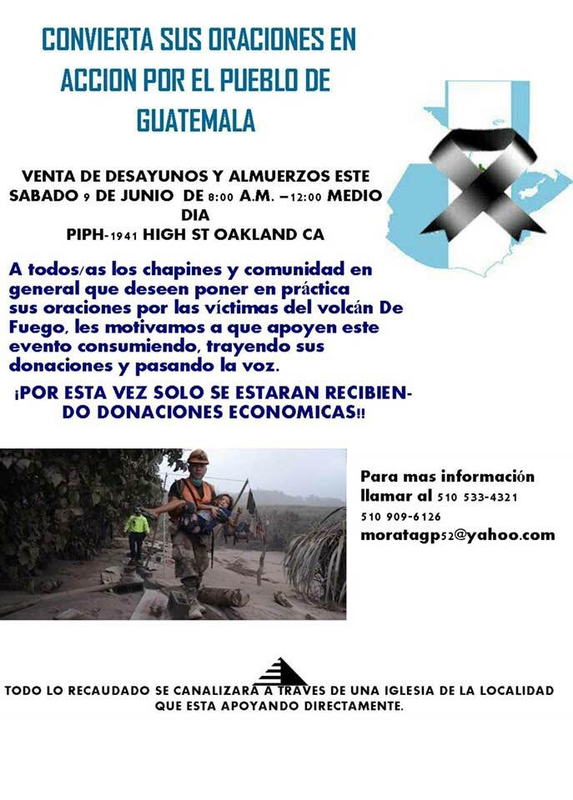 Pablo and the Congregation at PIPH are finding ways to provide relief to the people of Guatemala.